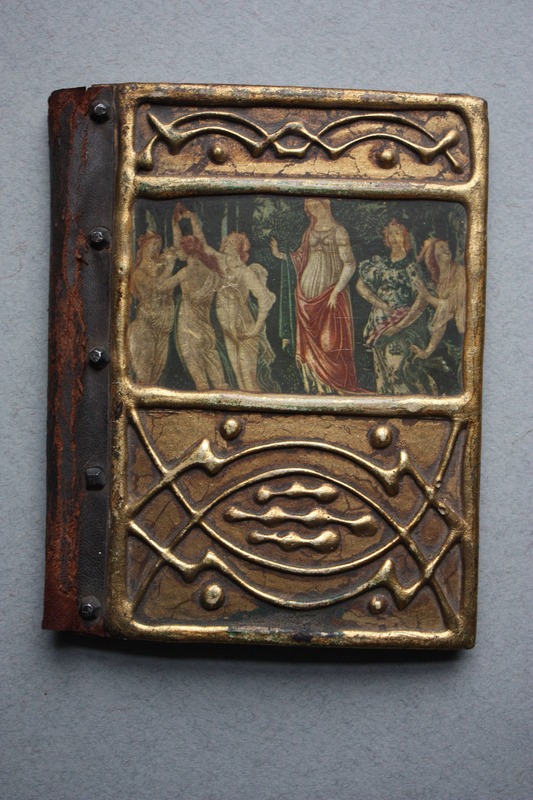 Italian, Florentine, Wooden Gilt Painted Book Cover with Decoupage of Botticelli's "La Primavera" or "Allegory of Spring"
This vintage Italian (Florentine in style as evidenced by the heavy use of gilt paint) wooden book cover has a leather spine and what I believe to be a decoupaged image of Botticelli's "La Primavera" or "Allegory of Spring." 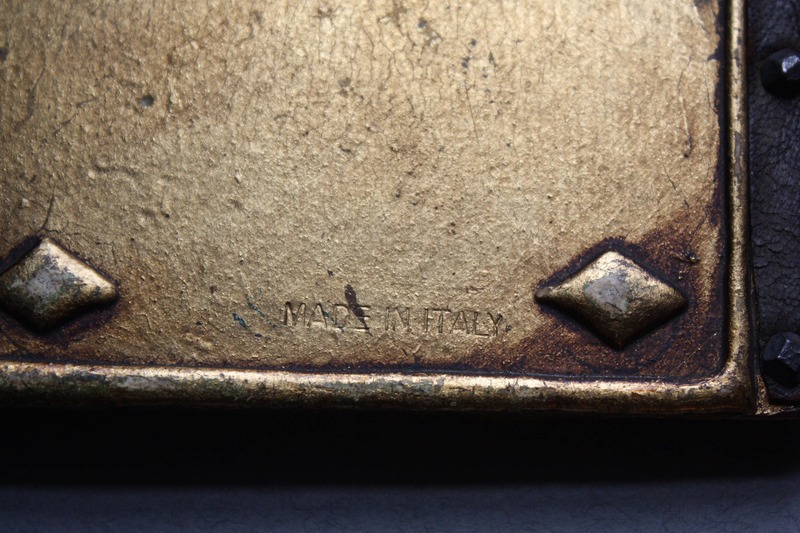 The back of this piece has "Made in Italy." 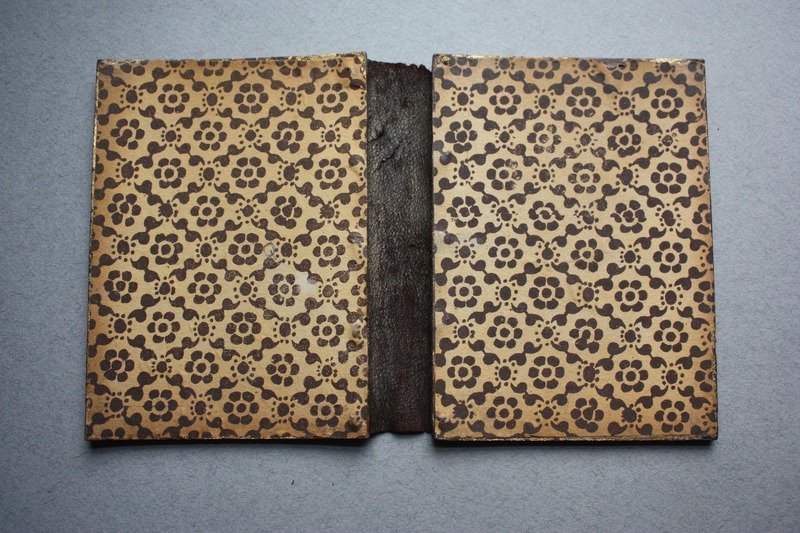 The wear on the boards as well as the spine is evident in the photographs. Do let me know if you require more information or more photos as I'll be happy to oblige. 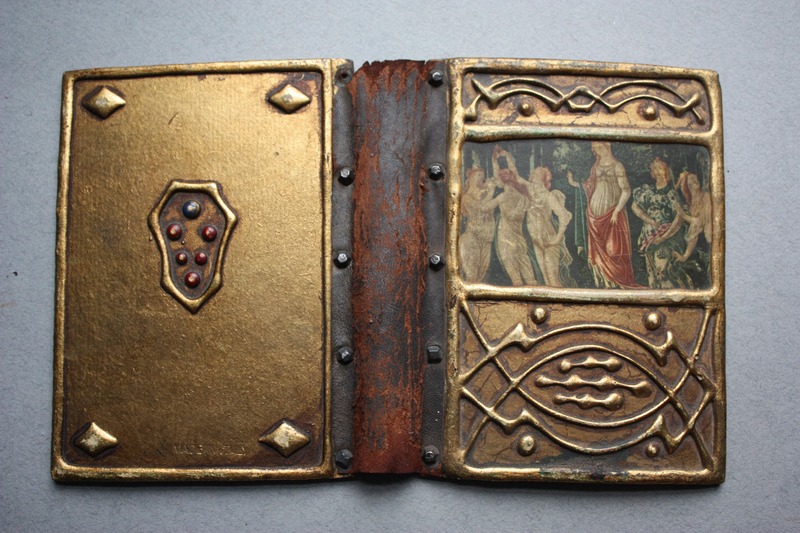 Dimensions are 5 ¾" length x 9 ½" width (when opened). 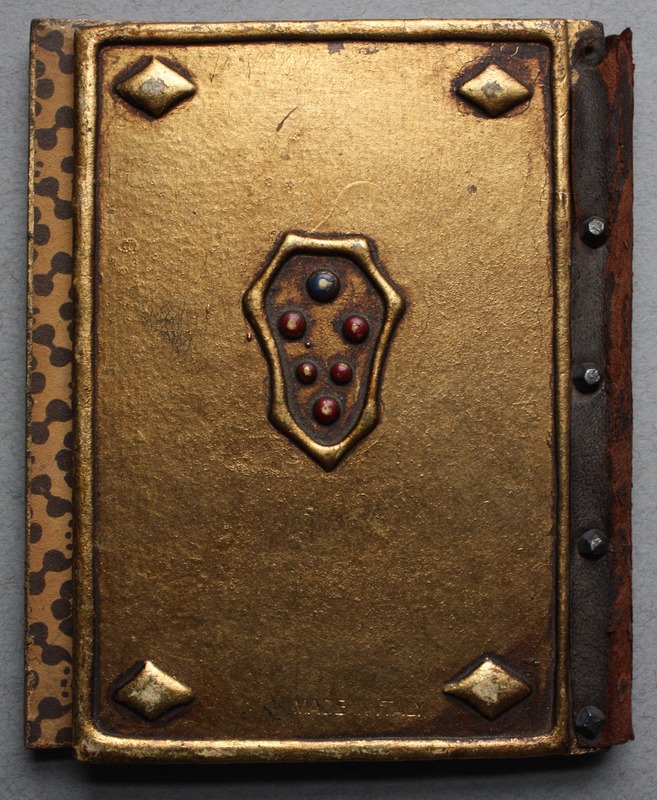 The front and back covers are 4 ½" each with the leather portion being 1" wide.